Industry survey found 70% of energy retailers agreed their billing and CIS operation is a key enabler for their business strategies. Accurate billing, flexible tariff and service creation, and streamlining of customer processes are the most valued business benefits. Strong consensus that a good billing operation has a ‘high impact’ on customer satisfaction. 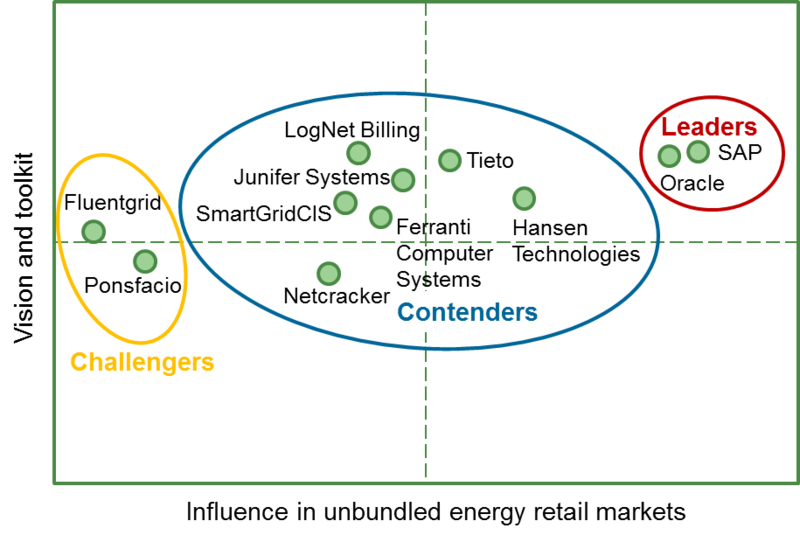 SAP, Oracle confirmed as billing / CIS solution market leaders; LogNet Billing, Junifer Systems and Tieto identified as strong contenders. Cambridge, United Kingdom (15 June 2016) – Our latest research among competitive energy retailers shows that 70% see their billing and customer care solutions and operations as key enablers for their business strategies. Suppliers identify a wide range of business benefits from an efficient billing operation, including positive impacts on customer satisfaction, customer loyalty, competitiveness and profitability. These are among the key findings of Quindi Research’s new analyst report entitled New Directions in Energy Retail: Billing & CIS for Competitive Edge. The report surveyed energy retailers in competitive markets worldwide to understand the challenges they face, how they are evolving their business models, and the strategic impact of their billing and CIS operations. “Understandably, the business benefit that energy retailers most value is accurate billing,” says Catherine Viola, the report’s author. “This finding reflects the fundamental importance of getting bills right the first time for maintaining customer satisfaction, as well as for minimising inbound billing enquiries and keeping down customer service costs.” In the survey, 80% of respondents agreed that billing has a high impact on customer satisfaction. Another key finding is that energy retailers are looking for billing solutions that can flexibly respond to their changing needs. Flexible solutions can help suppliers easily configure new tariffs and service plans, adjust service parameters, and introduce non-commodity value-added services, as they strive to keep their value propositions fresh and competitive. In the survey, many suppliers rated solutions flexibility as an essential criterion when selecting a new billing and customer care system and vendor. New Directions in Energy Retail: Billing & CIS for Competitive Edge is available from Quindi Research, priced at GBP1995 (plus applicable taxes). Quindi Research provides research and advisory services for organisations throughout the energy and telecommunications sectors. The company’s publications and research help software vendors, equipment manufacturers, network operators, service providers and regulators identify and exploit the opportunities from the emergence of new technologies. 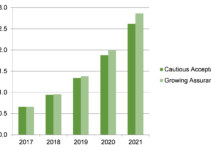 Founded in 2012, Quindi Research is based in Cambridge, UK. For more information, please visit www.quindiresearch.com.